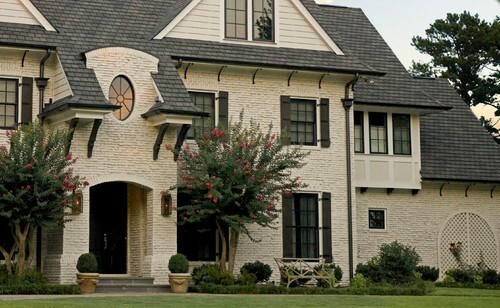 Bricks can provide a home with a beautiful, classic look. On the other hand, brick houses are not exactly unique here in the Washington, D.C. area. In fact, if you are tired of bricks, you’re not alone! So, can you paint over your bricks? Yes! 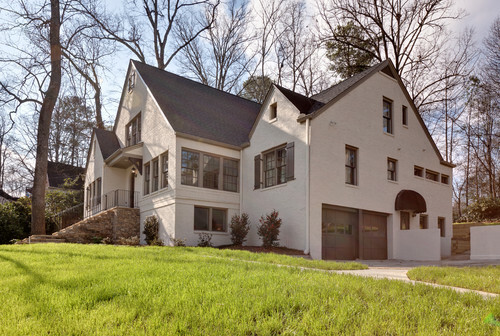 More and more people in Northern Virginia and Maryland have begun painting their brick homes, giving them new life and style. However, before you paint your brick house, there are a few things to should consider. It is possible to alter the entire look of a brick house with relatively little time and money, making it feel like a whole new home! You could paint your home white for a crisp, stately feel, or for a more dramatic look you could paint your bricks gray. Beige is also a popular choice. It’s a great idea to look at sites like Pinterest or Houzz for inspiration when you are considering a major house painting project. Just remember that if your house is a different style than the one in a picture, the overall effect will not look the same. Painting a brick home is as irreversible as it is transforming, so once you paint your house, there’s really no going back. This is not necessarily a con, but it is worth considering. Additionally, painted bricks can look dirty more quickly than unpainted bricks, so they may need to be cleaned and pressure washed more often. Also, you will need to repaint your bricks every five to seven years, to prevent the paint starting to crack, peel or chip, and moisture getting inside your house. Should I Paint my Brick House Myself? Should I paint my brick house myself? That's a good question! Well, it is definitely possible for an experienced DIY painter to paint his or her own home. However, as it is the whole exterior of your house, and as mentioned above, rather irreversible, it is best to hire a professional painting contractor that works in your area. If you are looking for a local painting contractor in the Washington, D.C. area, Williams Professional Painting Company would be happy to help you! We have served Maryland, D.C., and Northern Virginia since 1979, building a reputation for excellence with both interior and exterior painting. Please call us at (703) 768-8143 if you have any questions, or click here to schedule a free estimate today.